An attractive carpet provides a warm and welcoming atmosphere in any room. Draperies and furniture upholstery can further enhance the ambiance. In an office environment, these interior features can advertise customer service and professionalism to clients. At home, they convey hospitality and warmth to guests. While such furnishings are pleasing to the eye, few notice the dust, dander and odors that become trapped in their fibers. For the health of home and office dwellers, the services of a professional steam cleaning business are not optional, but necessary. Northern New Jersey is densely populated with bedroom communities and commercial districts. Much of the total square footage is carpeted. Most homeowners and property managers throughout the region make sure that their carpeting is vacuumed on a regular basis. As important as this maintenance is, it is insufficient for the deep and thorough cleansing necessary to preserve the carpet. Think of carpet as hair, combing it is not enough. Likewise, a truly clean carpet requires shampoos and cleaning agents to purge foreign substances, services simple vacuuming cannot accomplish. Although this job may appeal to do-it-yourselfers, it is dangerous to undertake without solid knowledge of the chemicals used and the type of carpeting treated. Calling on a professional is advisable. This advice goes double for oriental rugs, which adorn high-end homes and offices throughout New Jersey. Oriental rugs range in value from modestly priced reproductions to rare antique tapestries. According to dealers, each rug possesses the properties that comprise value: density of the knots, design components, quality of dyes and coloring, material, age, condition and market demand. Oriental rugs can be more than décor; often, they are investments and financial assets. Because of the unique nature of these floor covers, an owner is well advised to seek out a professional cleaner with a proven track record in servicing oriental rugs. 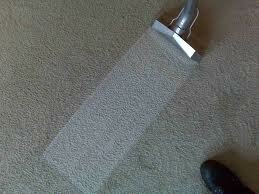 High Quality Carpet Cleaning has the experience to give you the results you’re looking for. The beauty of a clean carpet can be offset by furniture encrusted with debris. As with rugs, a comprehensive knowledge of cleaners and materials is essential to the proper care of upholstery. Detergents have varying intensities that must carefully correspond with particular fabrics. Should an error occur when matching cleaning agent and material, the result might be upholstery that is either insufficiently washed or, worse, irreparably damaged. Stains demand even more caution, as removal must take place without harming the fabric. A reliable cleaning service will opt for biodegradable detergents and environmentally friendly procedures. Apart from regular maintenance, carpets and upholstery may need attention in the event of flooding. In this case, a rapid response from the carpet service is essential. The reason for this is two-fold. First, a professional cleaning enterprise invests in equipment that can remove all the moisture most effectively. Secondly, floodwater carries dirt which then embeds itself in the carpet and furniture. These items must be cleaned completely in order to avoid the formation of mold and bacteria. Fortunately, North Jersey is home to High Quality Carpet Cleaning, LLC. Immaculate carpets and spotless furniture are just a call or click away.